I traveled the Junk Jaunt trail this last weekend, following locations that sold everything from antiques to—no kidding—secondhand underwear. Yuck. 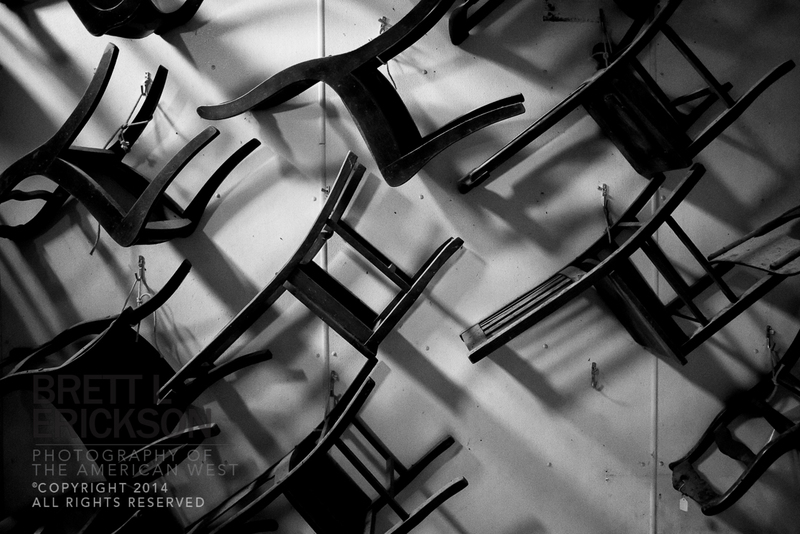 Luckily, I was only interested in photographs, and at a warehouse in Ansley, Nebraska, my students and I found a back room populated with chairs. The owner, Jim, is a retired illustrator with a penchant for three-dimensional storage art, it would seem. I think he certainly had an eye for creating photo opportunities. I like the one hook that doesn’t have a chair. When will you be posting the images of second-hand underwear?